Hi everyone. 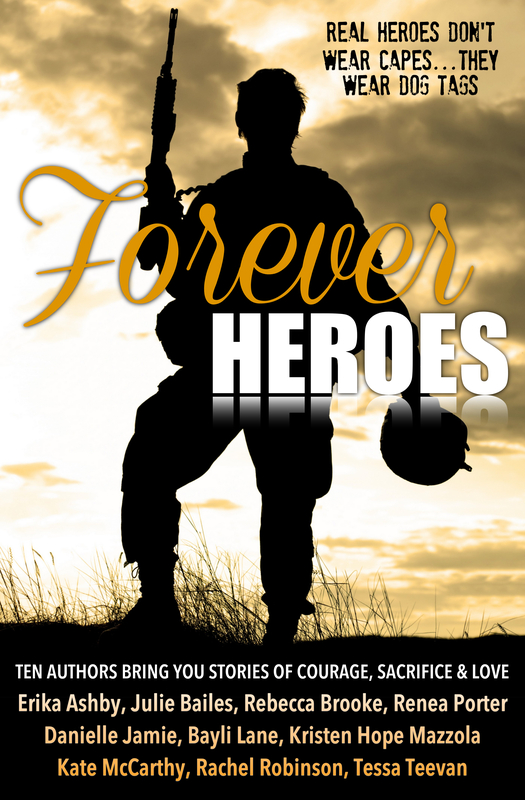 Today is the cover reveal for the FOREVER HEROES Anthology. CRAZY GOOD is included in there. 🙂 TEN bestselling authors bring you TEN full length novels chock full of courage, sacrifice, and love. ALL proceeds will be donated to wounded soldiers, veterans and their families. Because this cause is so near and dear to my heart (and because the entire anthology is only 99c) I hope you guys will consider buying a copy. Add it to your Goodreads lists, tell your friends and family, tell the cashier at the supermarket! Spread the word about FOREVER HEROES. Added to Goodreads and excited to read these books and help a worthy cause!